NGOSS has four basic frameworks: Process (eTOM), Information (SID), Integration (TNA), and Application (TAM). 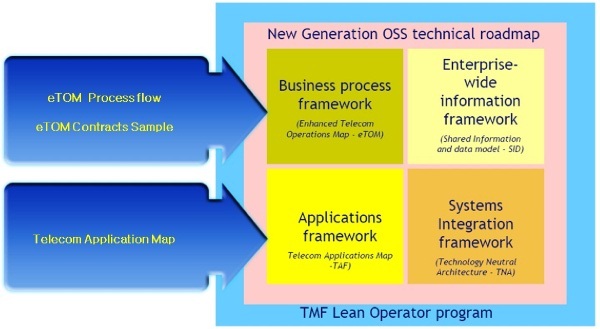 The problem is defined process in knowledge creation based on eTOM and SID can not be implemented in real world area (TNA and TAM) as fast as dynamic external changes, customer need and wants of Telecom Knowledge Based Enterprise (TKBE). The intended result is all owner process can execute new business process in 3rd and 4th eTOM level process without delaying of TAM and TNA development phase to deliver knowledge enhanced product and services to satisfied customers. The answer is creating shared context of eTOM and SID internalization in temporary modular application as mediator to ultimate package TNA and TAM like “transition phase” in ITIL Framework. In fact we should not decrease level of capability delivery of TKBE’s stream processes with knowledge creation of additional enhanced information flow, processes and tools to support wisdom decision support in each levels of shared context’s processes. 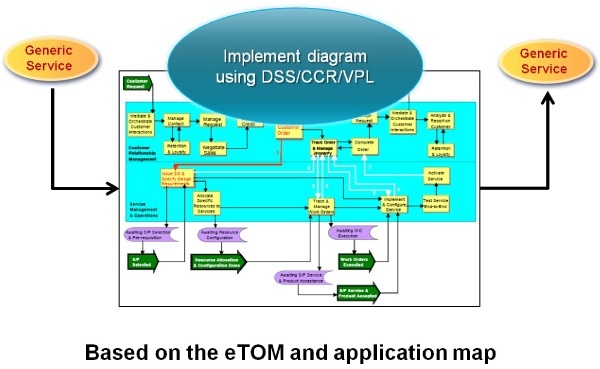 Refer to TKBE SECI process, most simulation consist of information flow in 3rd and 4th level of eTOM Processes form critical stream that need parameterized modular application dealing with process, information, interoperability integration and web shared application. There is such of trade off that should be decided based on dynamic changes level of firms differentially to provide suitable-not prior to ergonomic presentation layer- simulation application to cover speed productivity and efficient cost. Knowledgeable simulation person should know and control each step of module to create exercising area as shared context to decide near the truth aligned decision to firm’s strategy. Internalization is the essential part of TKBE SECI Processes to complete one cycle of knowledge creation spirally in ontological eTOM shared context process layer areas from individual 4th and 5th layer to organizational and inter organizational zero and 1st layer of open system TKBE. It means that to deliver firm’s customer value products and services to appropriate market need coupling and integration all pipes of stream information and knowledge activity’s team learning with SLA’s speed and capability of delivery in culture, norms, SOPs, and practices. 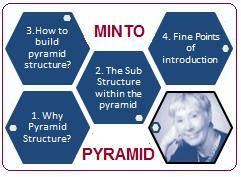 How we can internalize new knowledge from best concept and combine with current rule and roles? The answer is creating exercise shared context Ba with simulation, experience learning and proven practice that generate near truth and confidential levels for creative tension personal mastery and executing the stratagy. The accountable and responsible individual as intangible assets with tacit and explicit should be integrated in systemized processes with three Bloom’s taxonomy of learning to acquire required knowledge. One of them is Affective and Psychomotor in exercising shared context as stepping based line combine with internal critical processes of TKBE Differentiation. Read Open and flexible learning in vocational education and training Google Book ..
Telecom Knowledge Based Enterprise (TKBE) must be an open system to survive, growth and sustain with creating knowledge to increase capacity with enriching Knowledge Assets especially from “knowledge space” dealing with “shared context Ba” with external domain such of customer, stakeholder, shareholder, regulator, supplier and partner . This knowledge generator is business process integration that need knowledge to complete all relational knowledgeable tasks with information input and output, utilized tools by knowledge worker. All this components form such of “System Thinking” to react and response external dynamic business environment. Each process or stream have their own learning method based on process pattern, explore how worker learn with creative tension based on shared vision to be personal mastery of critical process required knowledge. This ontological Learning Organization continue to Group or level 2nd and 3rd Division processes as Team Learning forms Organization Mental Model of defined, managed and controlled stream processes in 0 to 1st eTOM Process Level. Refer to eTOM Process framework as Critical Required Knowledge Taxonomy especially in standard process identification to be shared common meaning should be align with basic assumption of shared vision to be achieve in all ontological knowledge creation subjectively and proven practice as firm’s differentiation. This integration of readiness level of knowledge worker, team learning and system thinking should be forced to problem solution and suggestion in continuous improvement and innovation based of firm’s business target. This driving objectives will deliver aesthetic customer value of product and service with serving satisfied customer with relational critical processes in daily practice. Read PDF The External Telecom Environment ….